Dukan Diet Review – Does It Works, Phases, Is it Safe ? Dukan Diet Review – The Miracle French Diet? Is the Dukan Diet Safe? Believe it or not, the Dukan Diet has been around in Europe for quite some time. Though it is not as well known in the United States, it was actually created by a French doctor named Pierre Dukan more than a decade ago. After releasing his book The Dukan Diet, it quickly became the go to diet for many French celebrities. It has since grown to become one of the top diet choices in France. Since arriving in the U.S. the Dukan Diet has often been compared to the Atkins diet. 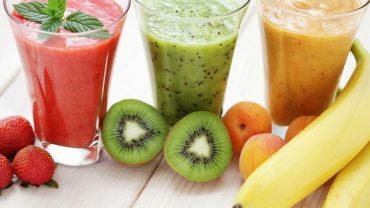 There are many similarities between the two diets, including the rapid weight loss that can take place for some dieters. The interesting part about this French diet, however, is that to some extent you can eat as much as you want. Sounds strange for a diet, doesn’t it? Well, keep reading to find out exactly how that works. The Dukan Diet is a four phase diet that focuses heavily on lean protein. 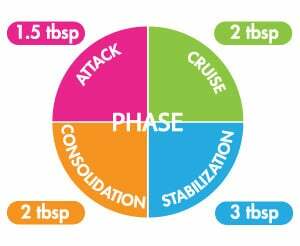 The four phases are of this high-protein diet are Attack, Cruise, Consolidation, and Stabilization. Throughout all of the phases, the diet focuses on protein consumption, low calorie intake, and walking at least 20 minutes per day. The way it’s set up you never have to weigh foods or count calories. As long as you are staying within the guidelines of the diet, you can pretty much eat as much as you want. That is, as long as what you are eating is lean protein. Initially the Dukan Diet only allows you to consume lean protein, oat bran, and water. As you progress into the other phases, vegetables, fruit, and whole grains will slowly be introduced. Similar to other low-carb diets you are going to lose a lot of weight at the beginning. One to two pounds per day is not uncommon. The first few days of the diet are the most difficult, but supposedly any hunger pains will be gone by day three. The Attack Phase – During this phase your diet consists primarily of lean protein. 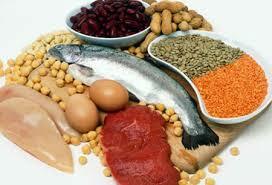 You can choose from a list of 72 lean protein foods including soy, fish, eggs, lean meats, nonfat dairy, and poultry. However, lamb and pork are not allowed during this phase. In addition to the protein, your daily diet will also include 1.5 tablespoons of oat bran. And that’s it. You are not allowed to eat anything else during this phase. As far as liquids are concerned, you are supposed to drink 1.5 liters of water each day. All of the phases also require at least 20 minutes of walking each day. The Cruise Phase – In phase 2 you are allowed to add an unlimited amount of non-starchy vegetables into your diet, but only every other day. In addition to the vegetables you are still allowed as much lean protein as you want and your oat bran increases to 2 tablespoons. The Consolidation Phase – In the Consolidation phase, things finally start to open up a bit. You can eat unlimited lean protein and non-starchy vegetables every day. Pork and lamb can now be included in your lean protein. In addition you are allowed a portion of low-sugar fruit, a small portion of hard cheese, 1 serving of starchy food, and 2 pieces of whole grain bread. “Celebration” or “cheat” meals are allowed during this phase as well. Twice a week you can have a meal that includes anything you want. Finally the most important aspect of the Consolidation phase is the introduction of lifetime protein days. Once a week for the rest of your life, in addition to your daily oat bran and water, you are only allowed to eat lean protein. The Stabilization Phase – This is the final phase of the diet and you are supposed to maintain this phase for the remainder of your life. During Stabilization, you are allowed to eat almost anything you want as long as you follow a few guidelines. You must continue to include a protein only day in your weekly diet, you should increase your daily serving of oat bran to 3 tablespoons, and you should continue to walk at least 20 minutes each day. Those who follow the diet closely will see impressive results during the first few phases. The first phase in particular can result in some serious weight loss, but it only lasts one to ten days. Phase 2, however, can last much longer depending on how much weight you want to lose. Dukan instructs dieters to stick with the Cruise phase until they reach their goal weight. Sticking with such a restrictive diet may prove difficult for a lot of people though. If you are successful in reaching your goal weight, then phases 3 and 4 will help you gradually move into more of a maintenance diet. This is where things get a little bit iffy. According to Dukan, you can eat anything you want and still not gain weight during phase 4. This is highly unlikely. The only way you can really maintain your weight permanently is by eating in moderation. If you go out and start stuffing your face with pizza, cake, and ice cream every day, then there’s no way your protein day will save you. Check Phen375 Review for better result! This is where the controversy over this diet begins. Much like the Atkins diet, many dieticians and nutritionists are not pleased with this type of diet plan and believe it is unsafe. You don’t get enough vitamins and nutrients. The Dukan Diet does recommend taking daily vitamins, but that won’t be enough to make up for what you’re losing. Another potential danger that exists is for dieters to remain on phases 1 and 2 for too long. These are the phases that focus on drastic weight loss. Too much weight loss in a short period of time poses some serious health risks, including muscle loss and kidney failure. Even within the Dukan Diet book itself there are warnings about potential side effects. In particular, dieters may suffer from fatigue, bad breath, and constipation. Those issues alone are a signal that this diet may not be healthy. The Dukan Diet is clearly an effective way to lose weight, but that doesn’t mean it’s healthy. For anyone who is able to maintain such a restrictive diet, it poses risks that they must be aware of. Eliminating necessary food groups from your diet may deprive your body of essential nutrients. The Dukan Diet is not all bad though. Unlike a lot of other fad diets, it eventually allows you to reintroduce most of those food groups back into your diet. It also does a nice job of gradually moving dieters into the long-term maintenance phase. Ultimately we would not recommend this diet though. There are healthier ways to lose weight, and it’s just not worth the risks. One of the keys to healthy weight loss is always eating in moderation. Focus on lowering your daily caloric intake. Lowering the number of calories you consume by just 200 per day can have a surprising impact. And remember that no weight loss plan is complete without exercise. It’s not rocket science. A calorie controlled diet combined with regular exercise is the best way to lose weight over the long term.